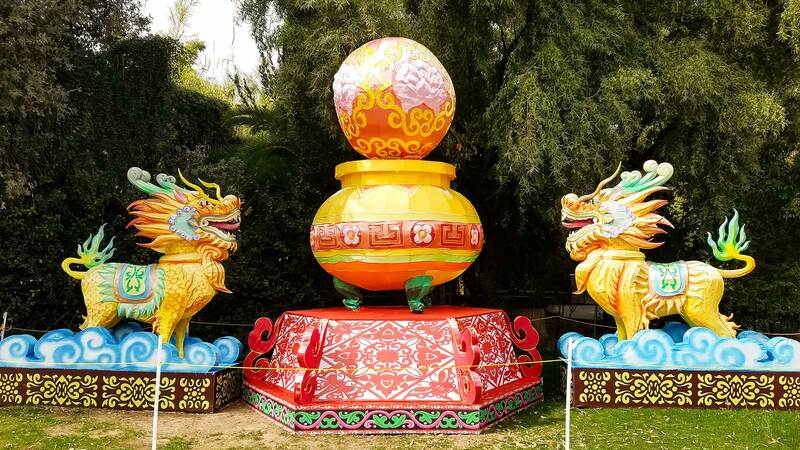 / Modified feb 26, 2019 8:54 a.m.
Tucson's 2019 Asian Lantern Festival runs from Feb. 2 to March 23. 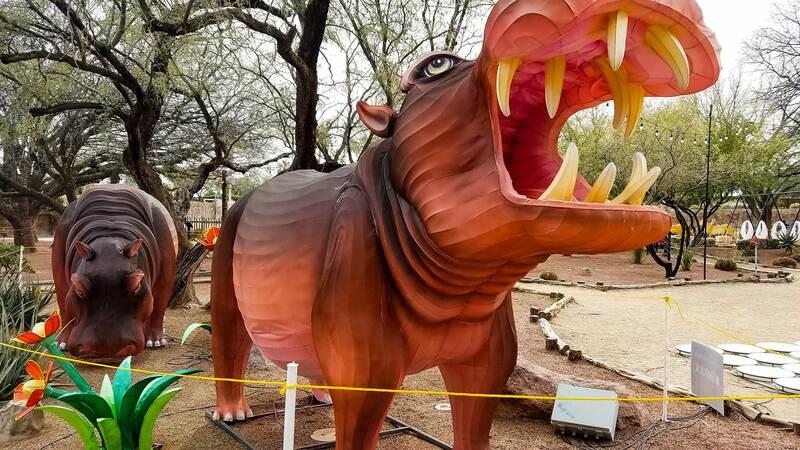 Tucson’s Reid Park Zoo is hosting its first Asian Lantern Festival in celebration of the Lunar New Year. 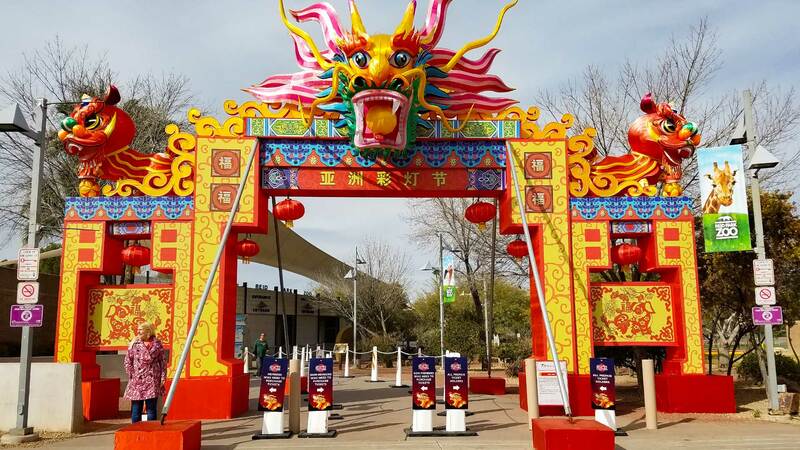 The Lantern Festival, which started Feb. 2 and ends March 23, is in collaboration with the Confucius Institute at the University of Arizona, Tucson Chinese Cultural Center and Tianyu Arts and Culture Inc.
Zhao Chen, director of the UA Confucius Institute, said that the goal of the event is to promote multiculturalism in Tucson. VIEW LARGER Some of the 478 lanterns at the Asian Lantern festival are larger than life. 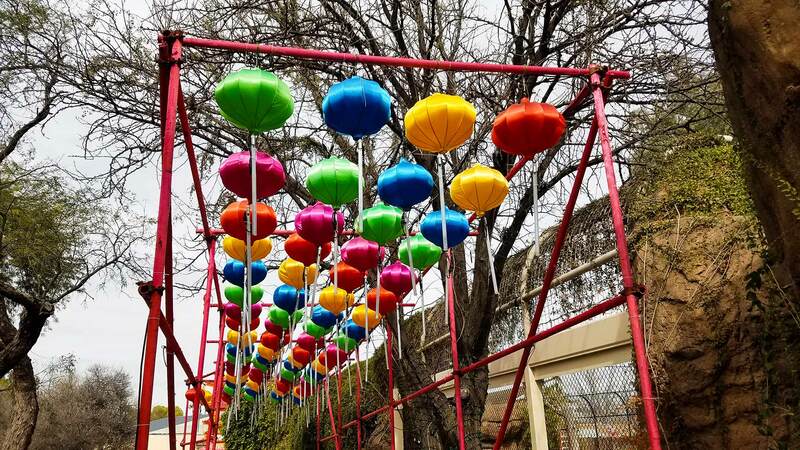 There are 478 lanterns scattered throughout Reid Park Zoo, including 40 larger-than-life lanterns. 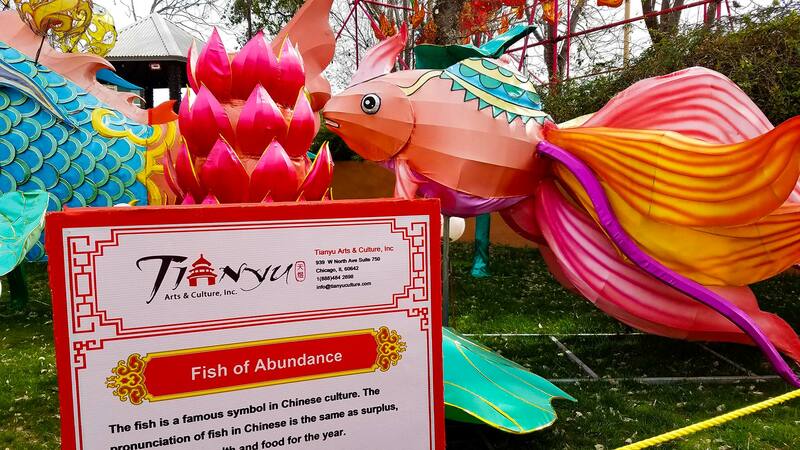 Some of the notable lanterns include the Chinese Palace, Fish of Abundance display and 120-foot long, 35-foot tall dragon. A Zen Garden, interactive floor lighting and Asian-inspired food are also a part of the experience at the festival. 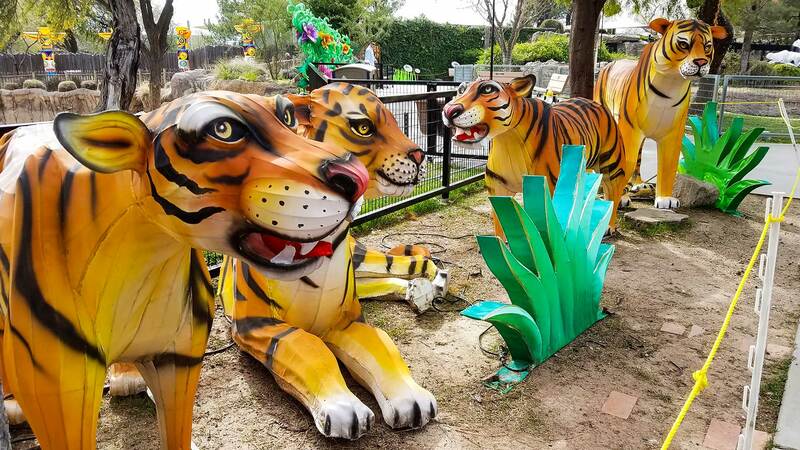 Jed Dodds, event coordinator at Reid Park Zoo, says the lanterns were hand-designed over the course of eight months and constructed on-site by a team of 20 artisans. The government shutdown earlier this year prevented some of the lanterns constructed in China from entering the port in Los Angeles. That meant that zoo staff had less time to set up the show. When the lanterns were finally in Tucson and getting set up at the zoo, the locations of the lanterns became problematic. Dodds says the real animals also complicated things: one of their giraffes had problems with the penguin lanterns being on top of her enclosure’s roof and the lions wanted to play with the panda lanterns in front of their enclosure. Tickets for the event are $18 for adults and $16 for children ages 2-14. Zoo members get $2 off admission. There are daily and weekly craft games and activities, as well as entertainment activities all included with admission. 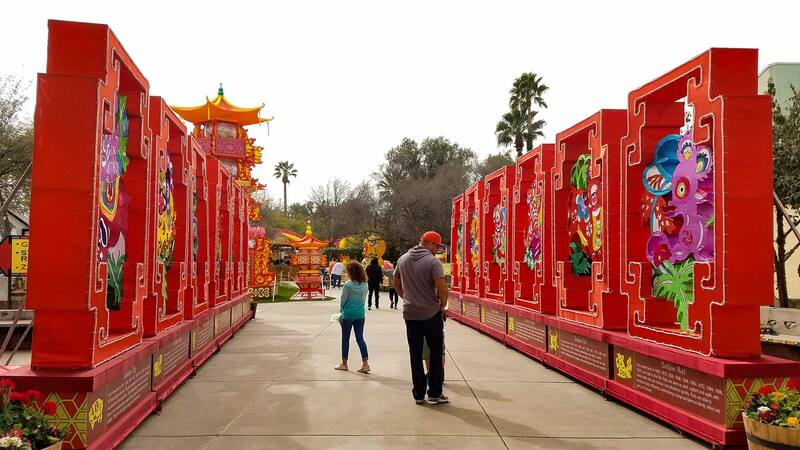 With the success of the Asian Lantern Festival at the zoo, Dodds hopes to make the festival an annual event. 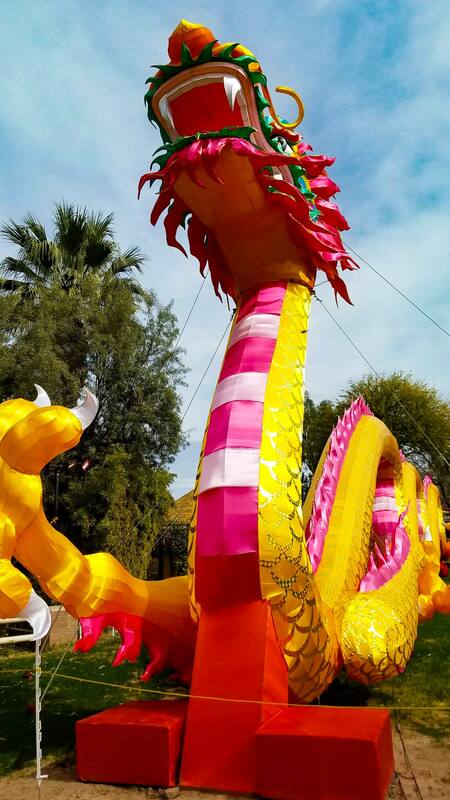 Organizers say the goal of the Asian Lantern Festival is to promote multiculturalism in Tucson. More than 20 artisans from China handcrafted the lanterns, organizers said. It took eight months for artisans to construct hundreds of lanterns. Visitors at the Asian Lantern Festival, 2019. Organizers hope to make the festival an annual event. Some animals in the zoo wanted to play with nearby lanterns, festival organizers said. Emmalee Mauldin is an AZPM intern and journalism student at the University of Arizona.